In the assessment process I undertake prior to each coaching agreement, I pay particular attention to the challenges and obstacles that may be limiting my client’s success. We do identify many external factors that aren’t always in their control, yet it is surprising to discover the numerous internal barriers that limit their success and overall life satisfaction. Among these internal obstacles is the often crippling fear of making a mistake and failing, which often prevents them from even trying something new. 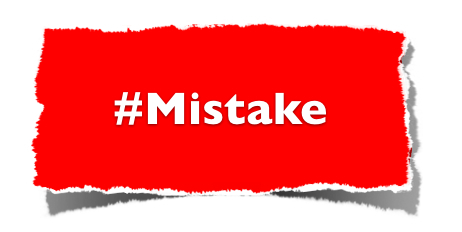 Where (specifically) are you stopped by the fear of making a mistake or failing? Find a coach, friend, family member, or mentor to help you summon the courage to work through these fears. Sometimes, it is helpful to use the acronym “FEAR” which stands for “False Evidence Appearing Real.” Feel free to reply to me with your insights and the actions you plan to take. This entry was posted in Mistakes and tagged Barry Demp, Demp Coaching, mistakes by Barry. Bookmark the permalink.